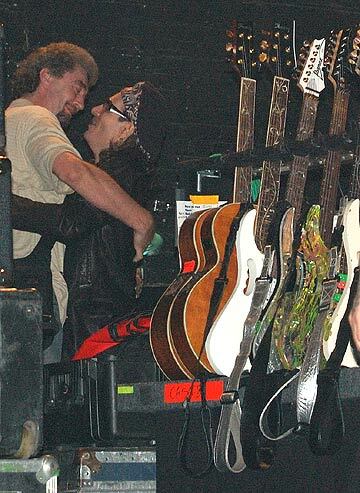 Gungi and friend Steve Vai embrace at a concert in Seattle, WA on 9/15/07. Brent Morris, who snapped this photo, says, "It was neat to watch them man hug." photo submitted by Brent Morris.